The emphasis here is on live roulette, live blackjack, and live baccarat. Never played before? Now is your chance. Reef Club Casino is the perfect place for beginners – all instructions are set out in an easy-to-follow format next to each game. Play dozens of branded slots, table games, and fun games too -- particular gems are three card poker, Spiderman, Bejewelled, and a variant of blackjack called Crazy Blackjack. This is a fast-moving mixture of normal blackjack, with multi-hands and side bets – just the ticket to liven up a dull Wednesday afternoon. Reef Club Casino uses the powerful 888 software. 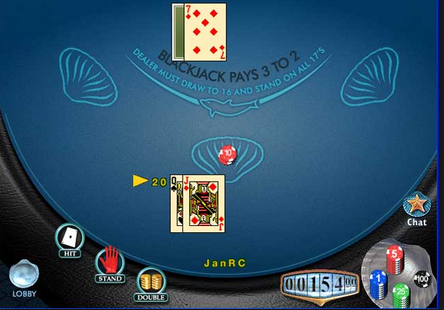 Familiar to millions of players, this software powers around 30 other casinos. Either download or place a wager without downloading. Take the plunge into Reef Club Casino today with its dark blue ocean theme and glamorous graphics. The site is simple and quick to navigate around – in fact, it's one of the easiest, which makes it ideal for players new to the wonderful world of online gambling. The perfect place to lose yourself. Deposit using all of your favourite cards such as Visa, MasterCard, and Maestro. 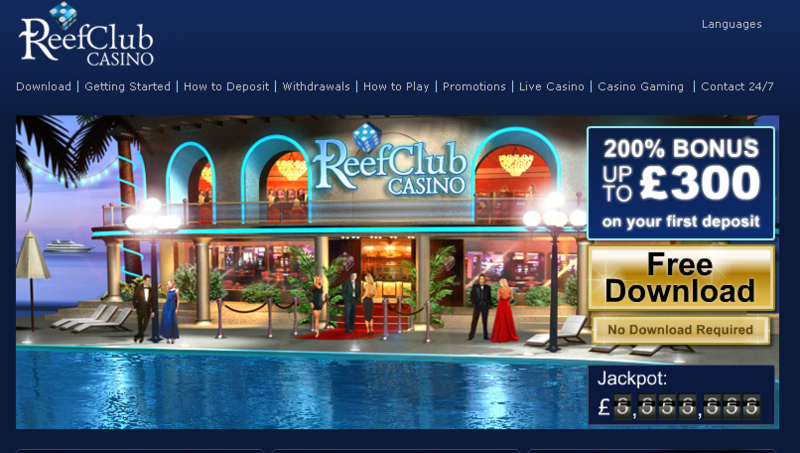 Reef Club Casino also accepts the most popular web wallets including Ukash, clickandbuy, Neteller, and PayPoint. Players are welcomed from all over the world (except the United States) and the primary languages of the site are English, German, Dutch, and Spanish. It's also worth noticing that Reef Club Casino has something called 'Money Transfer' – this member-to-member system is the secure way for casino members to transfer money from their accounts into the accounts of other players. Reef Club Casino is regularly audited and fully dedicated to providing fair play. The mighty MD5 Number Generator is used which ensures consistently random outcomes. This system has been tested by running millions of rounds and examining the results. Reef Club Casino also comes complete with the prestigious eCOGRA seal of approval. Reef Club Casino is operated by Cassava Enterprises (Gibraltar) and is licensed by the Government of Gibraltar. Now then, this is where Reef Club Casino gets really exciting. Make your first deposit today to be rewarded with a 200 percent deposit casino bonus up to £300. Also, make sure you investigate the Never-Ending Bonus. This is a 10 percent guaranteed bonus up to €65 in weekly events every Tuesday for 12 months after you join. Deposit the maximum amounts to cash in on thousands extra. We always like to see up-to-date promotions and at Reef Club Casino, you will find monthly lucky dips, tournaments, and races, where you can make thousands extra. To be in the know always make sure you click the Promotions page on the website and see what's taking place this week. Become a gold member at Reef Club Casino to benefit from an enticing variety of features, including cashouts within one working day, extended deposit limits, a higher comp point conversion rate, and a one-time golden VIP welcome bonus.